I always looked outside of my home for spa days, massages and tranquil spaces. Now since those spa days have turned into 15 minutes breaks here and there I have learned to make the most of that quiet time with myself and if anything made it a priority. I never was a bath girl, I was all about a shower. In and out, I have things to do. A bath seemed like something that happened once every other month. I had it so very wrong. I didn't realize the calming effect that a nightly bath would have on my entire life. It’s almost as if I gave myself permission to relax and let go of all that the day was. It allowed me to recalibrate and take on the next day. After a few months of having a bath almost every single night, I have the ideal bath time routine that I wanted to share. Hair up, wash face, simple enough. I use Sunday Riley Blue Moon cleansing balm, then This Works In Transit cleansing pads. I want to make sure I have cleaned away any toxins and makeup from the day. I use a hair tie and do a top knot and my Glossier headband. -Next step is a mask, I alternate between the overnight Omorovicza Radiance Mask or GlamGlow Firming Glitter Mask. 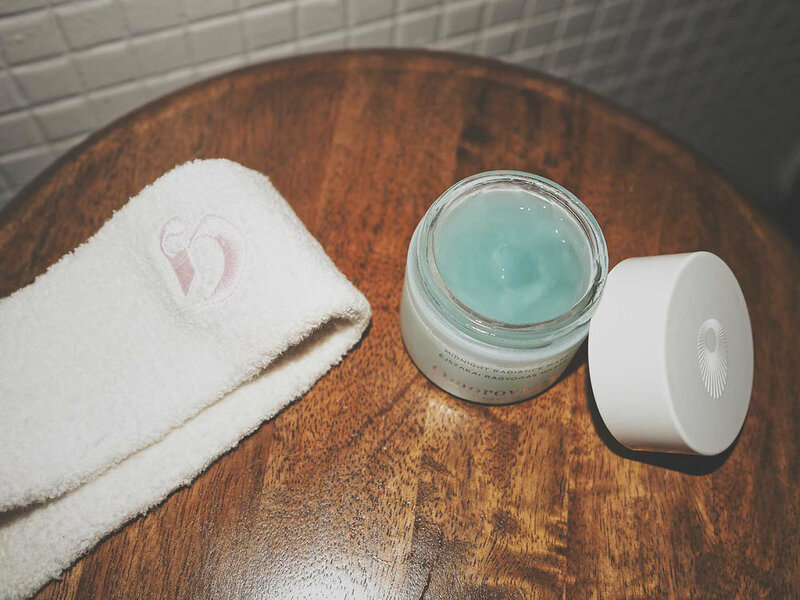 I use the overnight mask about 2-3 times a week.The Omororvicza radiance mask is cooling in a hot bath and allows for less work post-bath. It's also an opportunity to try new masks. -Once the mask is on I turn on my Calm app on and play "Coastline At Sunset". I run the water and light my Leone Candele (Tabaccoo Acero) candle. I am very sensitive to smells and Leone Candele is one of the few that don't bother me. Choosing a scent is so important. The scent has to set the mood for your whole experience. I choose Tabacco Acero because for me it creates a peaceful yet uplighting environment. It almost helps me get to that trance like state. Dolce Vaniglia is also a magical one. -Lights out, candle on and a few drops of de Mamiel Altitude Oil right under the nose and lots of deep breathing. I recently talked about Altitude Oil on my stories and it really has been a great escape from certain stressors and has rebalanced my awareness. Its the most peaceful time of my day. 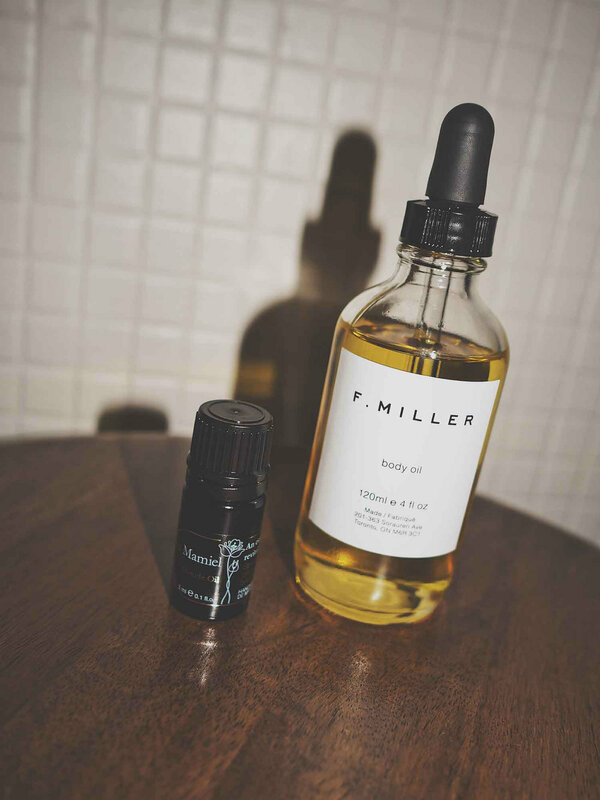 -After bath care is all about mixing a little F. Miller body oil with Nivea Firming Lotion (which I have been using for years) on a damp body. If I used the overnight mask then I'll apply some Paula's Choice Eye Cream and it's off to bed. If not, I peel off the mask and apply a strong amount of eye cream and Omorovicza Gold Rescue Cream. Allowing myself that time to find the calm and indulge in it has made all the difference in my world.